Augmented Reality - Pokemon Go I choose You! Augmented Reality – Pokemon Go I choose You! Posted on July 8, 2016 at 4:20 pm. Augmented Reality and Virtual Reality have taken both our attention and the market by a storm within the past several years. From headsets to our own smartphones, both have come leaps and bounds from the old Disney Quest Aladdin Magic Carpet VR ride, with the Oculus Rift virtual reality headset by Oculus VR being one of the forefront pioneers in this budding new industry. Developed and initially sold as a developer’s kit (DK1) for $300 in March 29th of 2013, the Oculus Rift has recently released a consumer version (CV1) for $599 that was originally available for pre-order in January 6th, 2016. 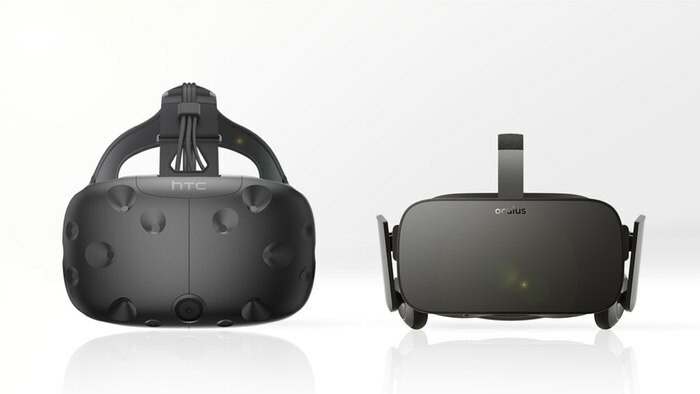 The Oculus is not alone in this frontier however, with competitors like the HTC Vive (another VR headset) by Valve Corporation released April 5th, 2016 at $799 a unit (not including shipping and handling), the Oculus has stiff competition in this market. A far more budget friendly option to VR giants like the Oculus and the HTC Vive however is offered by Google in the form of a collapsible (and eco-friendly!) smartphone mount called Google Cardboard, released June 24th, 2014 and sold for $15 a unit. This contraption requires the use of a head mount (or your hands) to play app-store games available for both Android and iOS. In addition to the Google Cardboard, Google has also brought us the game Ingress (owned by Niantic Incorporated after it separated as an independent company from Google), which is an Augmented Reality Science Fiction game that allows players to join one of two teams to defend (real life location based) Control Fields as their territory. This game encourages players to go outside and physically move to other locations (the game limits player’s options/abilities while driving to encourage exercise), using local landmarks and places of interest as focal points for players to defend. Continuing the trend of AR in pop culture today, Nintendo teamed up with Google and Niantic to develop their own AR smartphone game based off of one of their most popular game franchises ever, Pokemon GO! 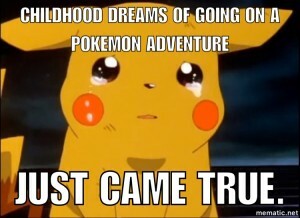 After a good humored prank conspired by Google and Nintendo, where Pokemon appeared online in Google Maps, video gamers everywhere cried out for more. Benevolently answering our plea, Nintendo and Google put their heads together to develop a free game that functioned off the same landmarks/real life locations as Ingress, however with a different spin in favor of Pokemon nostalgia. Launched on July 6th, 2016 Pokemon Go offers Pokemon fans everywhere their dream since childhood: the ability to walk outside of your house and go on your own Pokemon adventure. Utilizing your smartphone’s camera, the game’s AR allows you to hunt Pokemon in your own surroundings! The game’s immersion extends further as water Pokemon appear near large areas of water (such as ponds or pools), ground types when you are in sandy areas, grass types when you are in the woods…the list goes on! This game even uses your phone’s pedometer to count how many steps you take, as the poke-eggs in game require different numbers of steps to hatch into a surprise Pokemon. AR comes in many forms, and with the rapidly evolving (Poke-pun intended) market it’s carved into our entertainment industry, we only have more to anticipate and look forward to! If you would like to share your experiences with any of these technologies please leave us a comment on the blog.